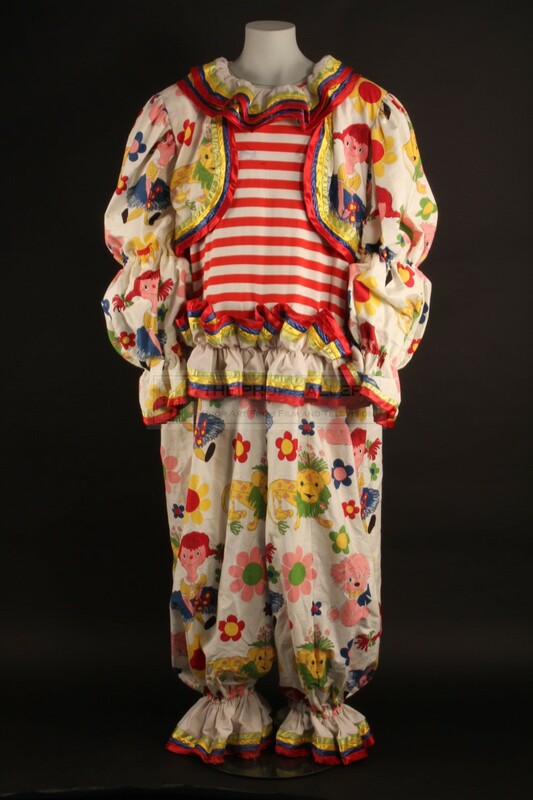 An original costume used in the production of Spawn, the 1997 superhero horror picture starring Michael Jai White under the direction of Mark A.Z. 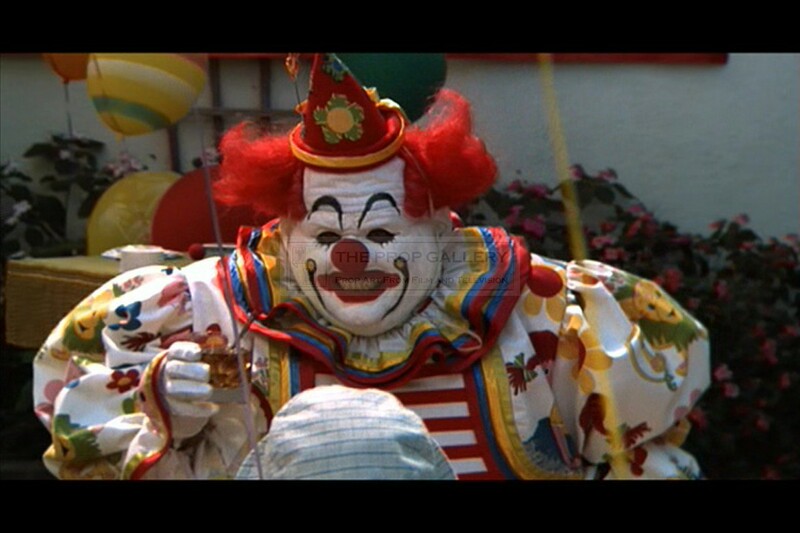 Dippe. 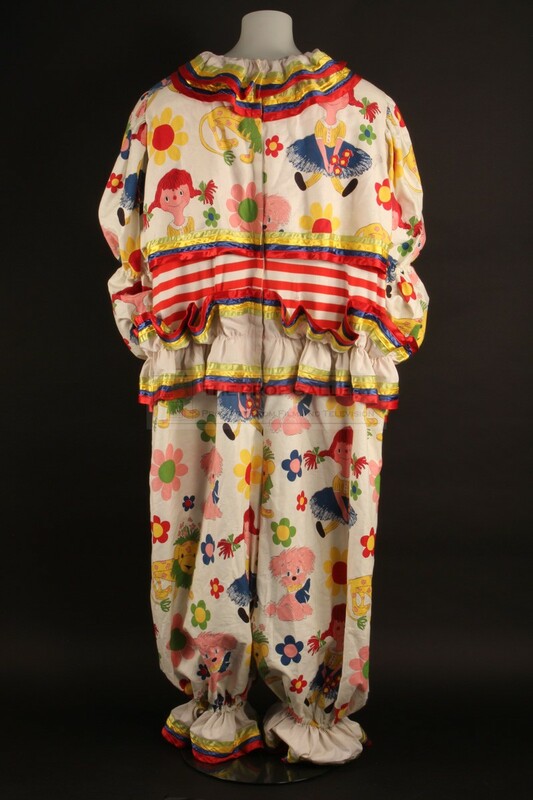 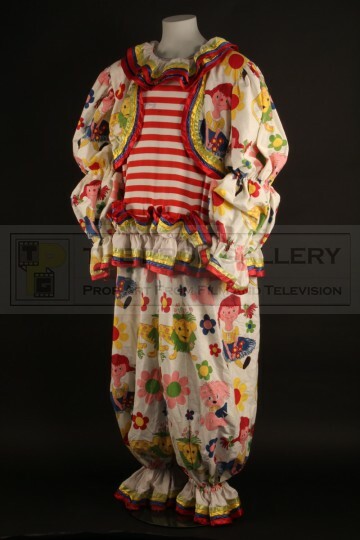 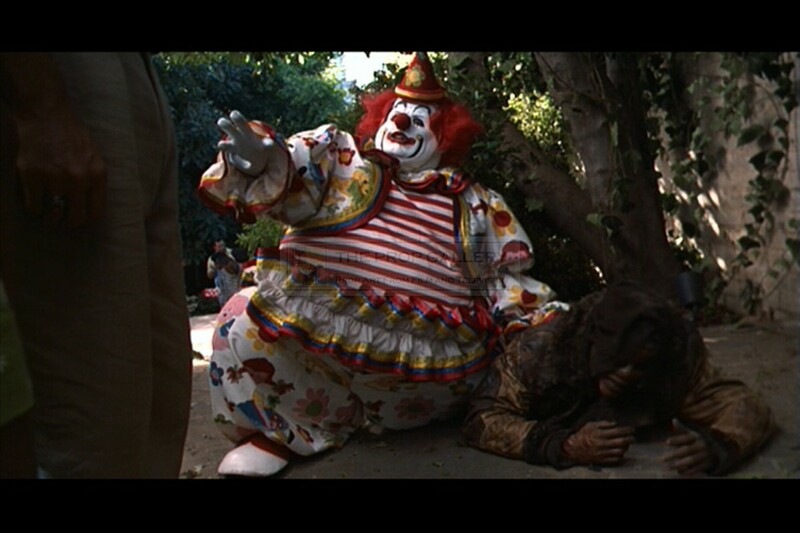 This costume was custom made for the production and worn by John Leguizamo as The Violator in his clown form. 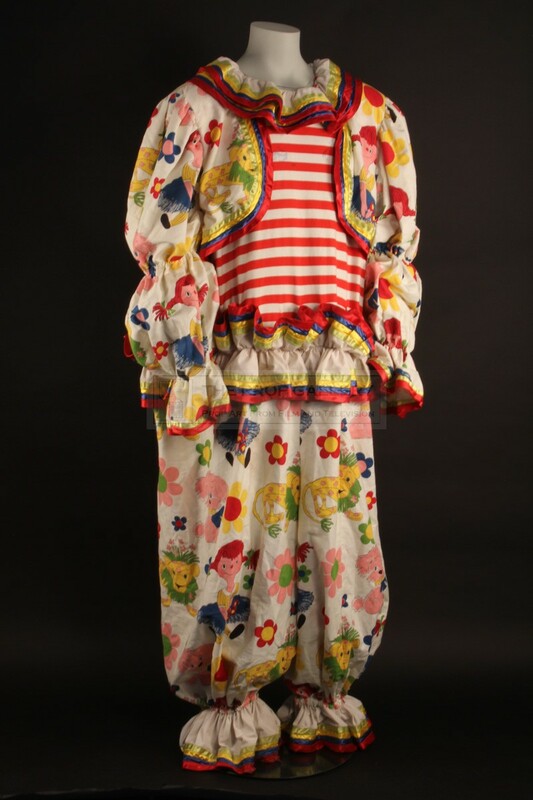 The oversized costume is constructed from colourful material featuring children's imagery with a striped chest panel and multicoloured frills to the waist cuffs and ankles, to the back is a concealed velcro fastening. The costume remains in excellent production used condition throughout with only very minor soiling and wear to the bottom, traces of make up present from use, overall fine. 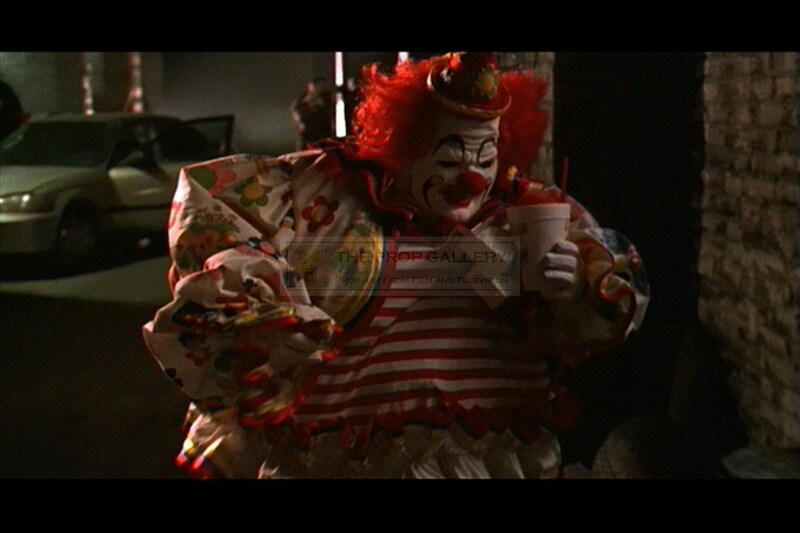 A fine example of principal character wardrobe from this superhero horror picture.